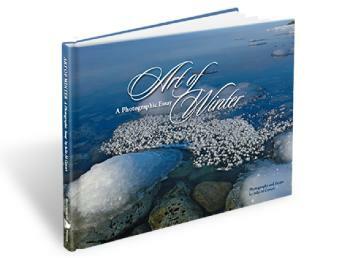 Art of Winter (hardcover) is available for the cost of $38 plus tax and shipping. Please use this order form or the PayPal link to order your copies. Be sure to indicate to whom they should be autographed. for Great Lakes Region, Nonfiction. Now available as an iBook! Art of Winter is now available with video, an additional essay and more photos. Get it here through iTunes. 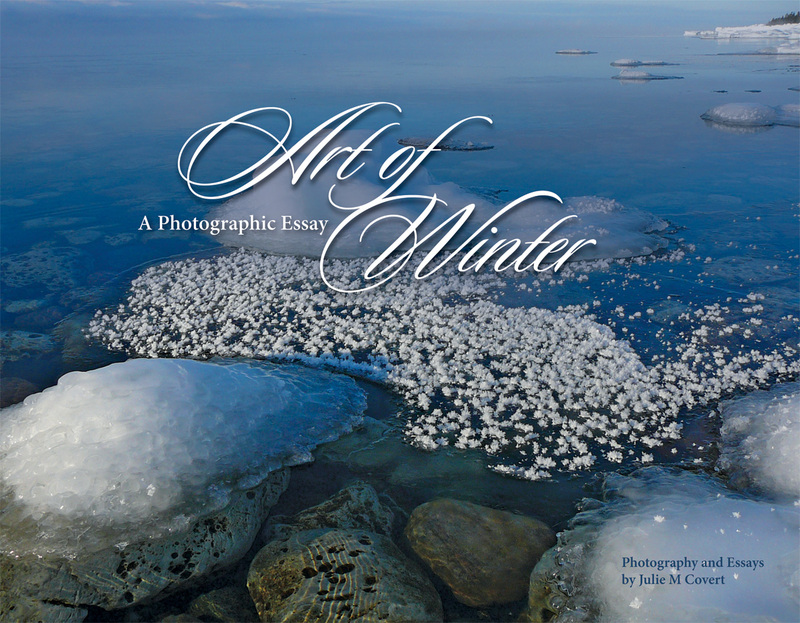 Art of Winter is a photographic presentation of the art that winter creates with snow and ice. Had you told me a year ago that I'd be self-publishing a photographic coffee table book my reply would have been "Really?" During Fall 2011 I put together a collection of photographs taken the previous winter. I laid them out into a coffee table book. Through MyPublisher.com I printed a couple dozen copies. They were holiday gifts for family and friends. Friends and the local bookstore wanted to know how they could get additional copies. With their encouragement I decided to embark on the journey of self-publishing under the name Whitehead Press. This book allows you to see and enjoy nature’s winter wonderland. This book is for you and every one else who does not want to or is unable to live in a remote area, in the northern part of the United States where single digit temperatures can be the norm. It is for you and all who do not want to wander around an icy lakeshore just as the sun rises. And it is for you and all the other people who have fond memories of water, snow, ice, and the Great Lakes. It is a book that you will be proud to own and give as gifts. A fine art book brought to you by Whitehead Press.